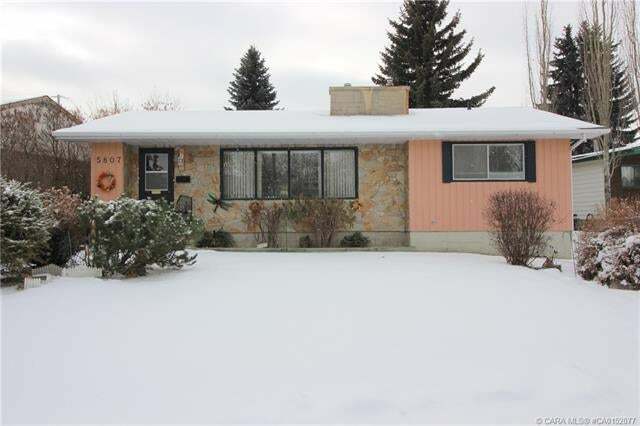 Excellent Bungalow, By Mirror Lake Park and Walking Trails! Wow! You’ll Love the Park Views, the Lifestyle and the Beautiful Mirror Lake Walking Trails! You’ll Love the Bright, Open Floor Plan of this Lovely 1,120 sq.ft. 3+1 Bedroom bungalow with lots of natural lighting. Featuring Beautiful Hardwood flooring, Spacious Country Style Kitchen, Extra Bright Dining area and Generous Living Room with great natural lighting and a picturesque view of lovely trees that lead to Mirror Lake. Nicely developed basement with large family room, generous bedroom with huge closet/desk area, den, laundry room, utility area and bathroom. Great yard with private deck, it’s a great place to rest, relax and enjoy the outdoors. 14’x22’ single garage, alley access and more! This is a unique and lovely home in a great location. A Must See!